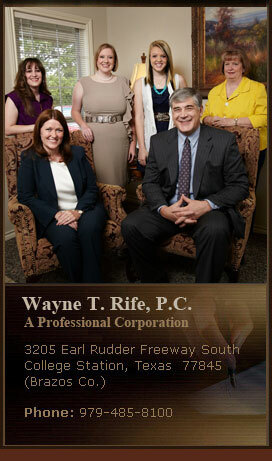 For more information from Wayne T. Rife or Jana L. Beddingfield about our practice, please complete the form below or give us a call at 979-485-8100. 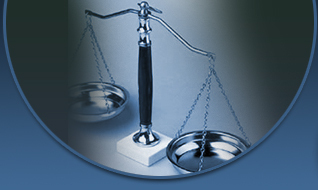 Note that by filling out this form you are not establishing an attorney-client relationship and any information sent to our firm before establishing an attorney-client relationship as evidenced by a signed engagement letter can and will be used for the benefit of the firm's existing clients. Until we have formally established an attorney-client relationship, do NOT send any confidential information or any information you would expect to be maintained in confidence through this website or through any email addresses posted on this website.